Thank you for Supporting Oak Ridges Hospice! 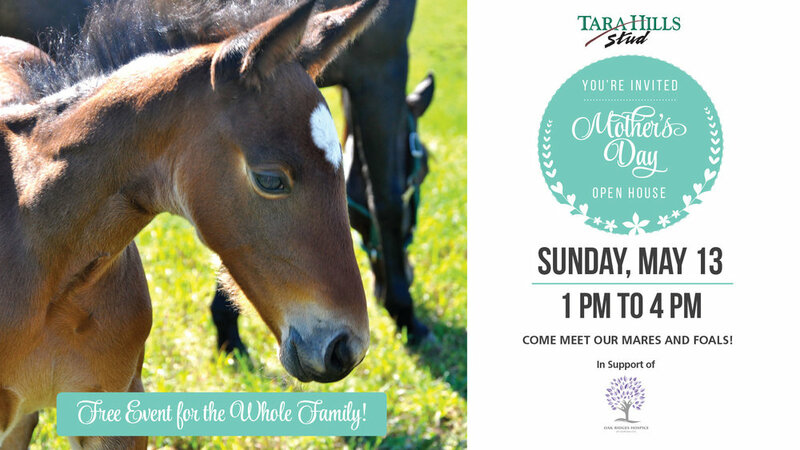 A trip to Tara Hills Stud was a popular choice on Mother’s Day, Sunday, May 13th with more than 300 guests visiting the farm. The horses were the stars of the event, but as well as meeting the resident mares, foals, yearlings and stallions at the farm, the guests were able to interact with the breeders, their families and staff to learn about the province’s Standardbred breeding and racing industry and a typical day in their lives. The result was nothing short of outstanding with more than $700 raised in support of Oak Ridges Hospice - Building for Compassionate Care capital campaign. “We can’t underestimate the impact of events where we connect people and horses,” said Kathy Wade Vlaar, SC’s manager of industry marketing. “These types of events not only generate awareness for the Standardbred industry, but create experiences and memories for the people who come out.